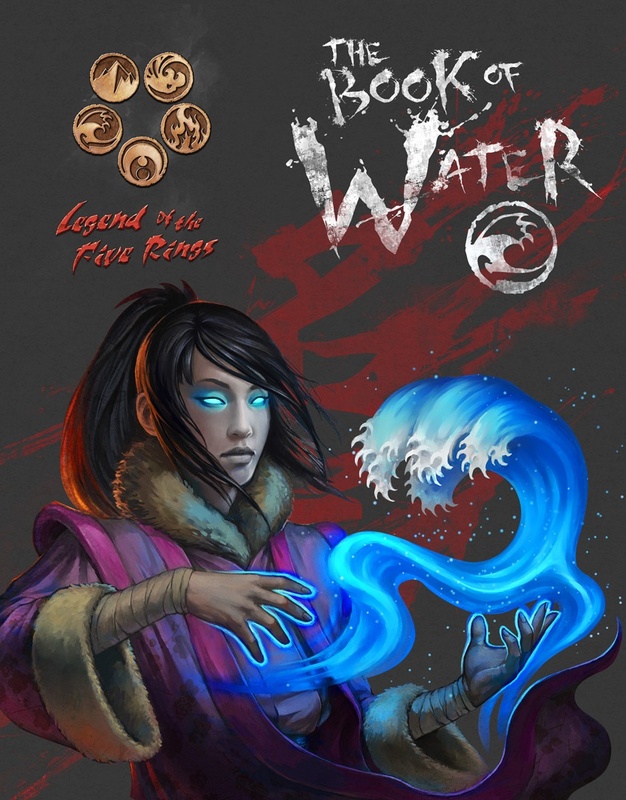 Water is the gentlest but also the strongest of the five Elements, able to heal the most brutal injuries but also able to smash whole cities with taifun and tsunami. Water shugenja are among the Empire’s most peaceful but also some of the most dangerous to enrage. Water is a source of clarity and vision, empowering divination and assisting magistrates. It is the source of life but also the inspiration of the battlefield general; the Element of motion and movement, but also the essential Element of serenity and peace. A discussion of the weapons of Water, including staves, chain weapons, and peasant weapons, as well as Mizu-do (the martial art of Water) and naval warfare. The courtly and diplomatic arts of Water, with a particular focus on commerce. The power and nature of Water magic, including many new spells of the Element. New Water Kiho and Water-oriented monastic schools. A new campaign setting, the Eternal Danger Islands, an archipelago filled with both danger and opportunity.